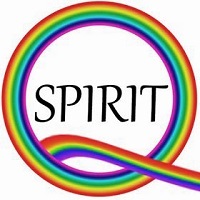 Jesus in Love Blog: New in March: LGBTQ Christian books "The Firebrand and the First Lady" and "Space at the Table"
New in March: LGBTQ Christian books "The Firebrand and the First Lady" and "Space at the Table"
Two new LGBTQ Christian books this month provide insight into relationships: between a theologian and his gay son, and between a First Lady and her friend who struggled with whether she was a lesbian. 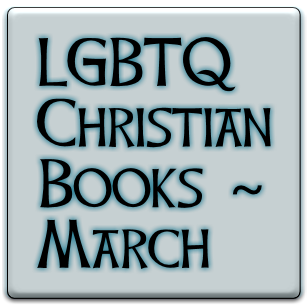 The books are “The Firebrand and the First Lady: Portrait of a Friendship: Pauli Murray, Eleanor Roosevelt, and the Struggle for Social Justice” by Claudia Rapp and “Space at the Table: Conversations Between an Evangelical Theologian and His Gay Son” by Brad and Drew Harper. “The Firebrand and the First Lady: Portrait of a Friendship: Pauli Murray, Eleanor Roosevelt, and the Struggle for Social Justice” by Patricia Bell-Scott. Pauli Murray, an Episcopal priest who struggled as what she called “homosexual” or “pseudo-hermaphrodite,” is examined in a solid new biography. Murray is best known as an African American civil rights activist. The new biography draws on letters, diaries and interviews to present the first in-depth portrait of her friendship with Roosevelt, including Paul’s issues with sexual orientation and gender identity. Her role as a priest is also discussed. The author is women’s studies professor emerita at the University of Georgia. Published by Knopf. “Space at the Table: Conversations Between an Evangelical Theologian and His Gay Son” by Brad and Drew Harper. Love overcomes condemnation in this memoir of how an evangelical pastor and his gay son struggled successfully to build a positive adult relationship. Their journey takes them from painful conversion therapy and the churches of Middle America to the penthouses of New York’s queer party scene and beyond. Brad Harper has been a theology professor at Multnomah University in Portland, OR. He also worked as a pastor and church planter at two evangelical churches in St. Louis, MO. Drew Stafford Harper is a journalist and actor. Published by Zeal Books through crowdfunding with more than 600 backers.